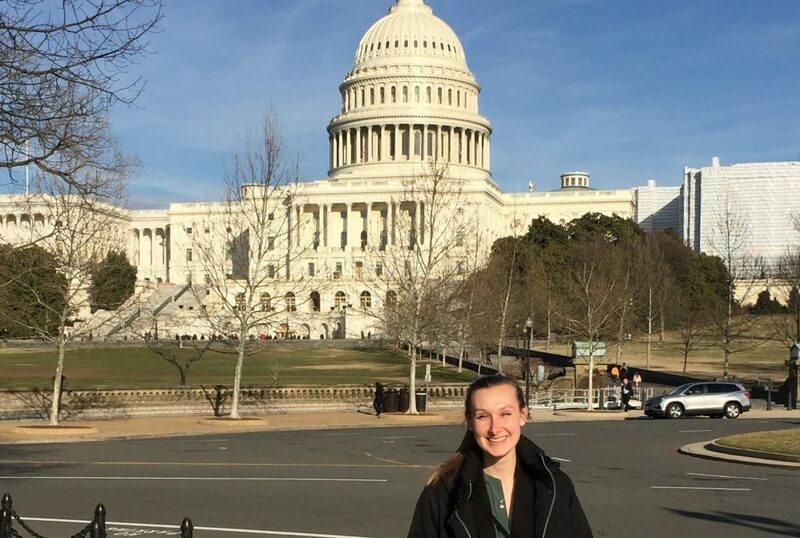 On February 25th and 26th, Lily Michaud, the 2019 Water Center intern, accompanied Water Center Director, Stephen Schoenholtz, and Associate Director, Kevin McGuire, to their annual National Institutes for Water Resources (NIWR) visit to Capitol Hill. On Monday evening, they attended a reception hosted by Van Scoyoc Associates to socialize and network with the other NIWR directors. On Tuesday morning, Lily accompanied Dr. Schoenholtz and Dr. McGuire to four scheduled congressional meetings. While the day was full of hustling and bustling in and out of congressional buildings and offices, they managed to meet two Congressmen, explore the underground pathways, pass Madeleine Albright in the hallway, take pictures in front of the Capitol building, and have fun. Lily, who has a special interest in water policy, learned a great deal about the inner workings of Congress and the legislative process during the visit. Copyright © 2019 Virginia Water Resources Research Center. All rights reserved.